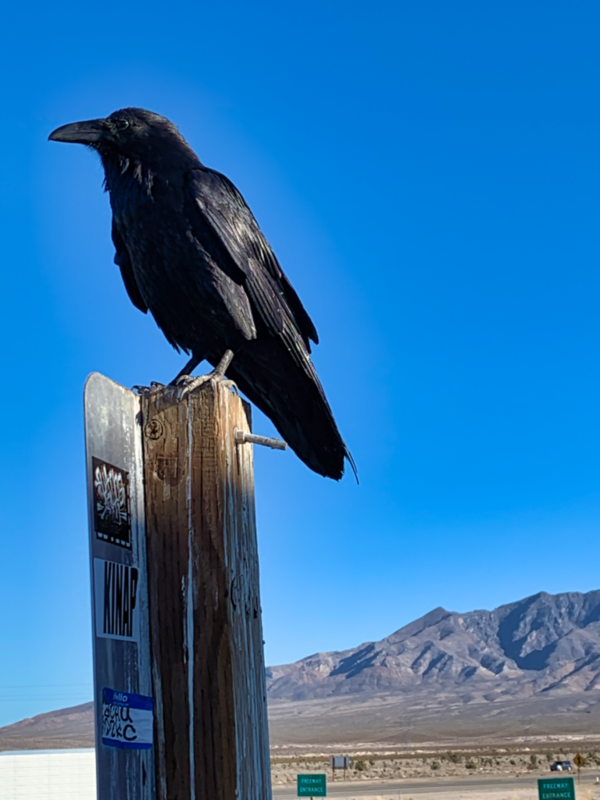 At a rest stop in California, nothing around but the interstate, Joshua trees, and empty space, these ravens hung out near the trash cans looking for easy meals. Not at all afraid of people. There’s no zoom used on this photo, I just walked right up.